The local art store here has stocked some Hahnemuhle watercolour sketchbooks and they were priced quite well so I decided to get one to try. I still have many sketchbooks that aren't used or completed yet but that's what happens when you step into an art store. You buy stuff. Hahnemuhle is a German company that was founded as a paper mill in 1584. I've not heard of the company before but after knowing its long history, I'm really curious to try out their other paper products. 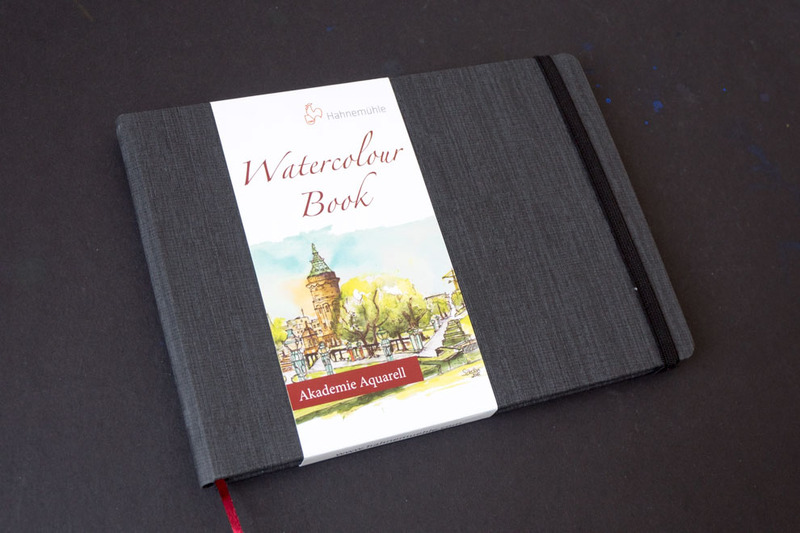 The sketchbook is available in different sizes, eg. A6, A5 and A4, and in either landscape and portrait format. There are 60 pages of 200gsm, acid free, natural white paper. There's no mention of cotton content so this is probably non-cotton paper, just like many other watercolour sketchbooks out there. 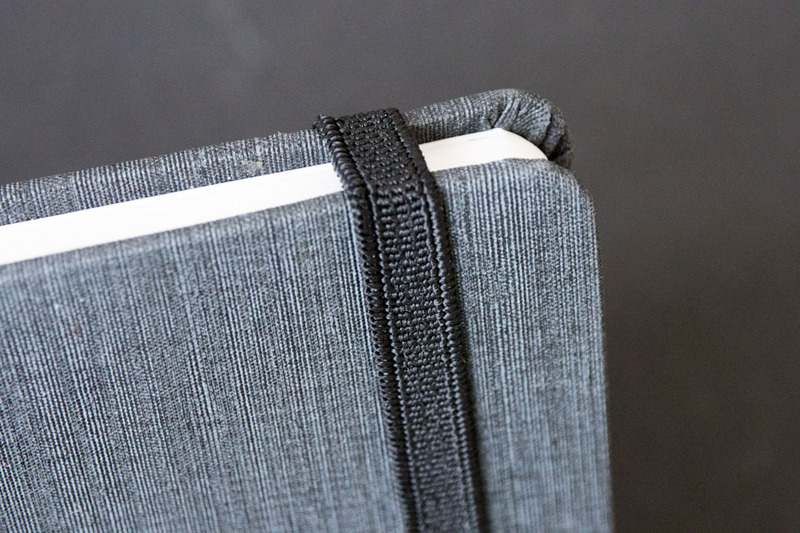 The sketchbook is hardcover and comes with rounded corners and an elastic band. 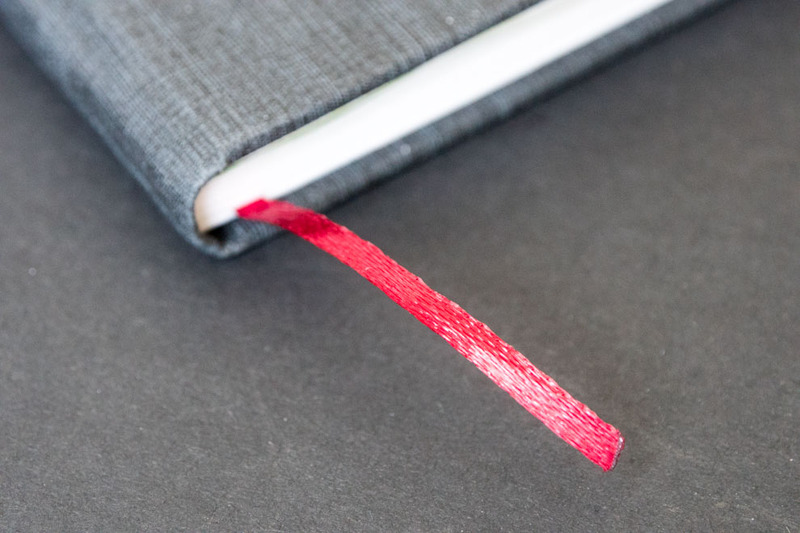 There's also a red ribbon bookmark. The texture on the hardcover is really nice. It's kinda like canvas but I can't confirm. Definitely not like cloth-bound hardcovers. It's also quite durable. I've thrown the sketchbook into my bag and taken it out many times, and there's no sign of wear and tear. Having rounded corners help too. The pages can open flat completely. That's great for painting across pages.The binding is very good too. Stitching is tight. The 200gsm paper does buckle slightly but they become flat easily when you clip the two covers together. Since the paper is not 100% cotton, wet on wet techniques is a big challenging. 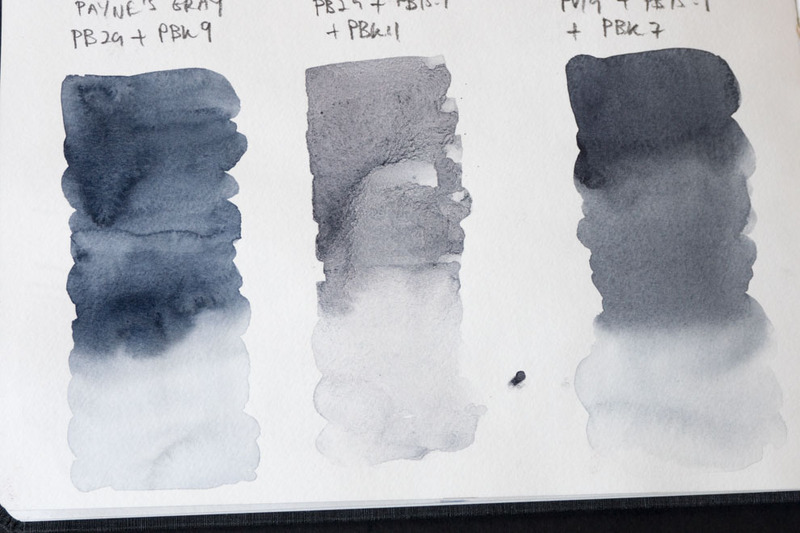 So it's difficult to achieve soft colour blends, or have colours blend softly into the white of the paper. 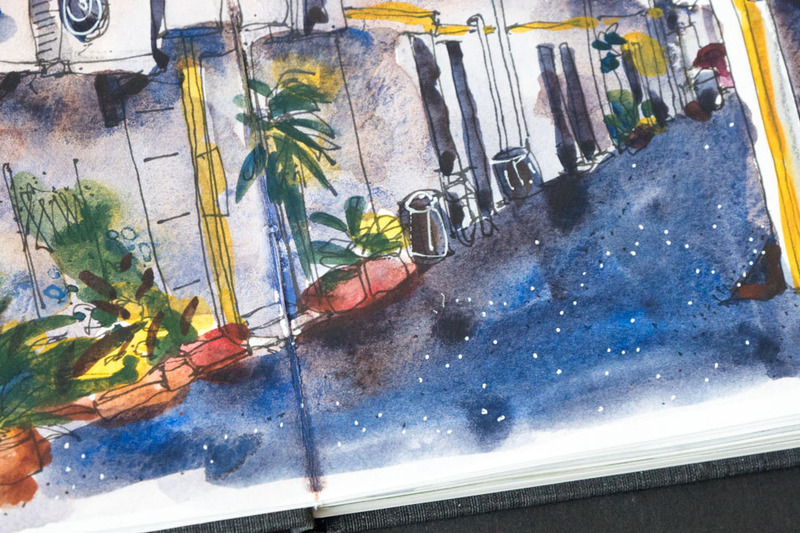 The performance is not very different from other watercolour sketchbooks. Note the patchy areas on the ground. I wanted to have the darker areas blend more softly than appear to be like large spots on the ground. The spots appear because the paint don't move much. When you charge in another colour to a wet wash, the colour would not spread much. Here are some colour mixes I've created on the paper. It's actually not obvious when I tell you that the colours don't blend as well compared to cotton paper because there's no side by side comparison. 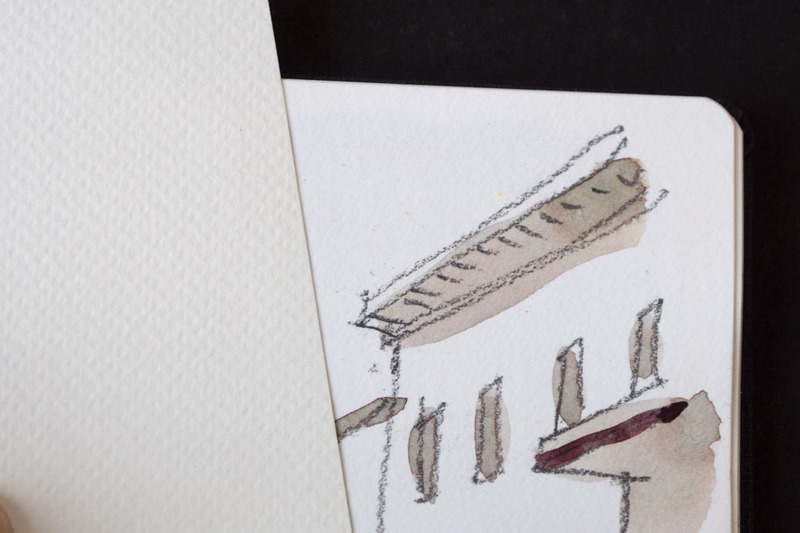 Watercolour paint appears vibrant on the paper. It's a good sketchbook for painting colour swatches and doing colour studies. For quick pen, ink and watercolour sketching, no problems at all. The paper has a slight texture so you can consider this a coldpress paper. The paper has more texture on one side compared to the other, but not drastically different thankfully. So the texture is still kinda consistent throughout the sketchbook. Overall, it's a good sketchbook. I enjoyed drawing and painting on it. It handles pen and ink well, and watercolour as well as any other watercolour sketchbook in the similar price range. It's a sketchbook I have no problems buying again. I really like the texture of the hardcover. It looks cool and is sleek. Those are the little details that enhances a product. Thanks for this review, I've recently bought this sketchbook and now know some of it's good qualities and limitation. It was especailly valuable to hear in the video about the bleed though where the sticking is onto other pages, this is something I will take into consideration when I start to use the book.